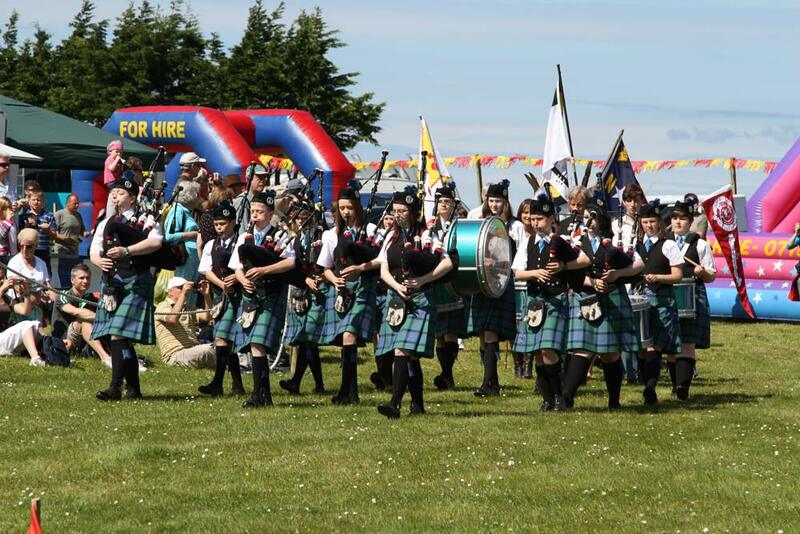 We are delighted to confirm that Lochaber Schools Pipe Band will once again perform at Arisaig Highland Games this summer. The band will lead the ceremonial parade before the Games and will also perform on the field during the afternoon. Lochaber Schools Pipe Band have been performing at Arisaig Games for over 30 years and are one of the highlights of the day for the visitors to our event. The band was originally formed in 1970 as Lochaber Junior Pipe Band by its founder, Alex MacDonald. Following several name changes over the years, the band is now known as Lochaber Schools Pipe Band and is led by Margaret MacMaster. The membership of the band consists of schoolchildren between 10 & 18 years of age within Lochaber district. The primary aim of LSPB is to promote and encourage the enjoyment of traditional music making. LSPB have become a recognised tourist attraction and perform regularly throughout the summer months for tourists and locals alike. They are also a popular attraction at many local events including Arisaig Games.